Hey! 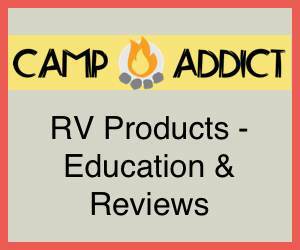 I’m Marshall Wendler, co-founder of Camp Addict, an RV product education website. I’ve been full-time RVing since April of 2014 and have zero intention of stopping anytime soon. This is my personal story. I’m in my mid-40’s. Widowed. Two phrases that really shouldn’t go together, yet they describe me. This site documents my journey as I deal with this new reality that I find myself in. I lost my wife of 15+ years to cancer. While I know those words to be true, writing them seems so surreal, but it is my new reality. One that I would have never imagined not too long ago. So here I find myself alone for the first time in almost two decades. I was with my wife for 17 years – from the time I was in my early 20’s until age 41. Through the formative years of my adult life. She is a major reason why I am who I am today, yet she is no longer here. I lost the one person who I experienced so many of life’s journeys with. The one person who knows what I experienced as she was there experiencing it with me. The one person who I could reminisce about so many things. Now there is a void. The one person who walked with me is gone. This website is a place that I will write about my journey – both physically and emotionally. I will touch on the process of grieving and healing I am experiencing, as much as I am comfortable doing in a public forum. I will talk a lot about my physical journey as I travel around the country enjoying the sights. In other words, some posts will be heavy and some will be fun. But expect more fun! Everywhere (In the United States that is). Literally. I travel around in an RV. No, really, I do. Why, you ask? Why the hell not? If that isn’t good enough reason, you can read a little more about why I live in a travel trailer.